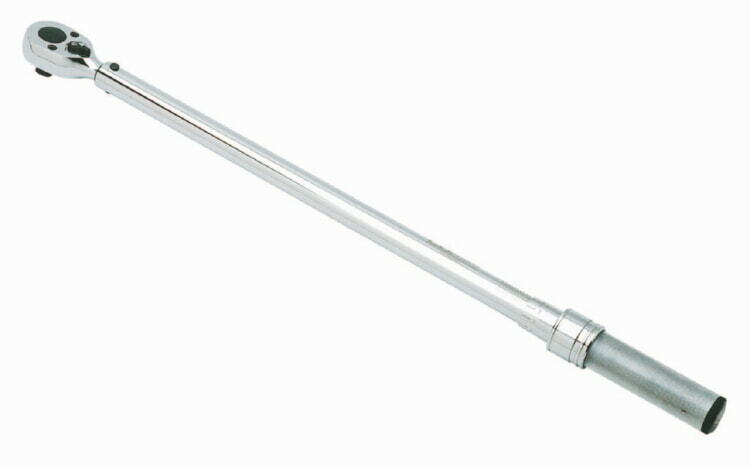 Metal Handle Single Scale. 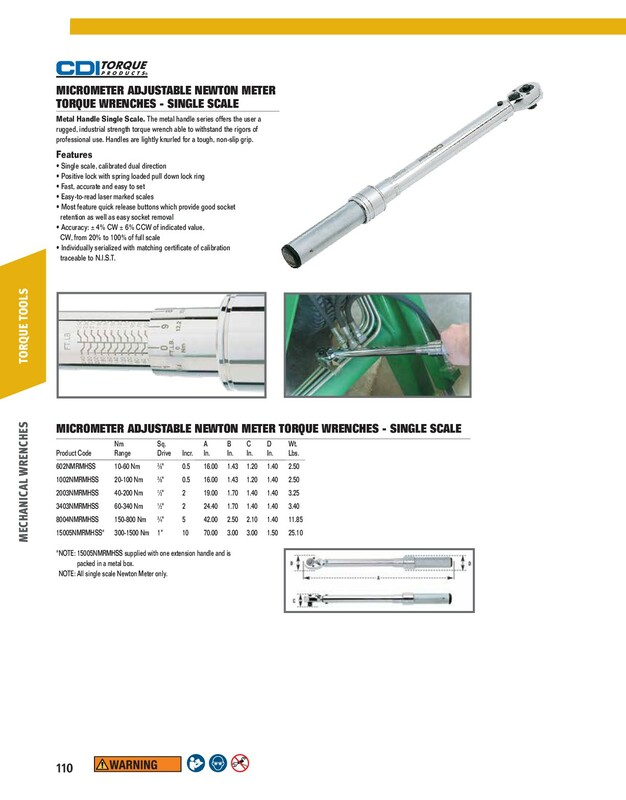 The metal handle series offers the user a rugged, industrial strength torque wrench able to withstand the rigors of professional use. Handles are lightly knurled for a tough, non-slip grip. Product Code Nm Sq. A B C D Wt. Range Drive Incr. In. In. In. In. Lbs. 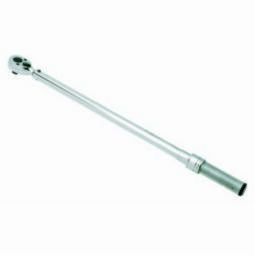 *NOTE: 15005NMRMHSS supplied with one extension handle and is packed in a metal box. *NOTE: All single scale Newton Meter only.